William joined Watsi on January 25th, 2014. 6 other people also joined Watsi on that day! William's most recent donation traveled 6,200 miles to support Van, a man from Cambodia, to fund cataract surgery. William has funded healthcare for 15 patients in 5 countries. Thy is a cobbler from Cambodia. He likes to play soccer and take walks along the riverside area. Four years ago, Thy developed a cataract in his right eye, causing him blurry vision and photophobia. He has difficulty seeing things clearly, recognizing faces, and going anywhere outside. When Thy learned about our medical partner, Children's Surgical Centre, he traveled for one hour seeking treatment. On October 17, doctors will perform a small incision cataract surgery and an intraocular lens implant in his right eye. After recovery, he will be able to see clearly. Now, he needs help to fund this $211 procedure. He says, "I hope I can get back to work after the operation and see clearly again." Alfred is farmer from Malawi. Alfred owns a small farm with his family, and he also sells coconuts and raises chickens to supplement the family income. In his free time, he likes to attend his mosque and spend time with his wife and their eight children. For eight months, Alfred has been experiencing pain and urinary difficulty. These symptoms are caused by an enlarged prostate, a condition called benign prostatic hyperplasia. He needs to undergo a prostate resection surgery, a procedure in which surgeons will remove part of the enlarged gland. Our medical partner, World Altering Medicine, is requesting $733 to fund Alfred's surgery. On February 6, he will undergo prostate surgery at Nkhoma Hospital, our medical partner's care center. The requested money pays for supplies, medications, and two weeks of hospital stay. Alfred and his family were thrilled to find out his surgery would be funded. The cost was more than the family could afford. Alfred is looking forward to going home and again farming and tending his animals. He says, "I am very thankful and may God bless you." 42-year-old Koeun works as a farmer and construction worker in Cambodia. When not working, he chats with his friends, and looks after his daughter. Since he was ten years old, Koeun has had a persistent infection in his left ear. For decades, he has experienced left ear discharge, hearing loss, and tinnitus, which make it difficult for him to communicate with his colleagues. When Koeun learned about our medical partner, Children's Surgical Centre (CSC), he traveled over an hour to receive treatment. On February 14, surgeons at CSC will perform a mastoidectomy procedure on Koeun's left ear to stop the discharge and pain. Watsi is asking for $842 to fund the procedure. Your donation will help pay for the surgeon, nurses, anesthesiologists, laboratory tests, medication, and two nights stay in the hospital. Kauta is a 70-year-old maize farmer from Malawi. He and his wife have eight children and twenty grandchildren. When not farming and taking care of chores, Kauta enjoys going to church and fellowshipping with his friends. For the past four years, Kauta has been experiencing urinary dysfunction. He was diagnosed with benign prostatic hyperplasia, a condition in which the prostate gland is enlarged, blocking the urethra and making it difficult to use the restroom. On February 16, Kauta will undergo a prostate resection, a procedure in which part of the prostate gland is removed. He will receive care at our medical partner's care center, Nkhoma Hospital. Our medical partner, World Altering Medicine, is asking for $733 to fund Kauta's hospital stay, physician's fees, and medication. "I give thanks to you," says Kauta. Mean is a 66-year-old rice farmer from Cambodia. He is married and has two sons, one daughter, and three grandchildren. He likes to watch TV and listen to the monks pray at the pagoda. Recently, Mean developed a cataract in each of his eyes, which has led to tearing, burning, irritation, cloudy lenses, and extreme sensitivity to light. Due to his blurred vision, Mean has trouble seeing things clearly, recognizing faces, going anywhere by himself, and doing his work. Mean traveled for three hours with his daughter to reach our medical partner, Children's Surgical Centre (CSC), for treatment of his cataracts. 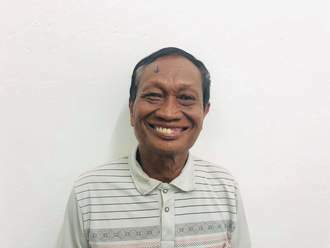 On January 17, Mean will undergo vision-restoring cataract surgery. Surgeons will perform a small incision cataract surgery and an intraocular lens implant in each eye. After recovery, he will be able to see clearly again. CSC is requesting $292 to fund the procedure. Mean hopes that his clearer vision will help him earn money to support his family. Smart is a 55-year-old farmer from a village in Malawi. He and his wife have seven children and five grandchildren. Smart also works as a security guard. In his free time, he enjoys reading and chatting with his village friends. In early December, Smart started to experience urinary dysfunction. He was in pain and had difficulty working. Fortunately, on December 20, Smart will undergo prostate surgery. His family cannot afford this treatment, so our medical partner, World Altering Medicine, is requesting $726 in funding. Once Smart receives his surgery, his prognosis is excellent. "I have no fear of the surgery," he says, "I give thanks to Watsi!" Meet Jolly! Jolly is a 29-year-old expectant mother from Uganda. Jolly and her husband are subsistence farmers and coffee pickers. They own a small shop selling groceries and are working hard to make their home ready for a baby. Jolly’s pregnancy is high risk. “This is her fifth pregnancy, and of her previous pregnancies, only one child is living,” our medical partner, The Kellerman Foundation, tells us. Jolly requires a cesarean section and antenatal care to help her have a successful delivery. "She has felt this baby move and has high hopes for a healthy pregnancy and baby. It is important to her that the baby be educated," the Kellerman Foundation says. Jolly’s cesarean section and antenatal care together will cost $303. Jolly says she is very grateful for any help given and she looks forward to bringing home a healthy baby. 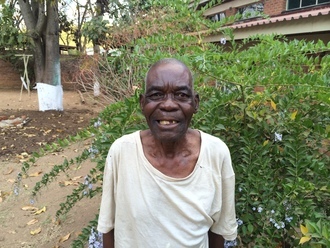 Sikalioti is a 65-year-old man from Malawi. Sikalioti lives with his wife, who he has been married to longer than he can remember, and together they have five children and 12 grandchildren. The family makes a living by farming and selling mandasi, traditional donuts in their village. Unfortunately Sikalioti has an enlarged prostate, which causes him considerable discomfort and difficulty performing normal activities. "He cannot urinate normally, putting him at risk of irreversible kidney failure,” our partners at World Altering Medicine tell us. “A catheter had to be placed through his abdomen to remove urine from his bladder due to his prostate enlargement. He is relied upon as the elder of the house, and his illness is affecting the whole family, as they rely on him for food security through his farming." Treatment of his condition costs $745, which is expected to relieve him of further pain related to his condition and will help him bounce back so he can return to work and caring for his family. His family says, “we can't wait for him to get better, so we can lead a normal life again!" Meet 27-year-old Sukroth. 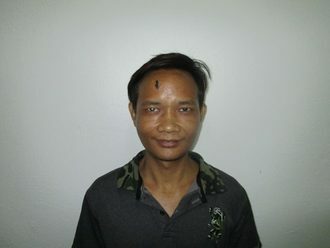 He lives in a rural area of Cambodia and works as a rubber plantation laborer to contribute to his family's daily needs. “About one month ago, Sukroth had an injury with a machine at work," writes our medical partner Children's Surgical Centre (CSC). "He lost one finger and badly damaged his left hand. Sukroth spent the family savings to travel to Vietnam for good treatment; however, they have run out of money, and Sukroth needs further surgery to improve hand function." While Sukroth continues to work at his job, he is worried that he will be fired due to his limited ability to carry things and grip his hand. For $300, the team at CSC can perform a contracture release surgery with a skin graft, which will improve the overall function of Sukroth’s left hand. Let’s help Sukroth regain his dexterity and continue working his job at full capacity.